If you have a pig or two that's rubbing up against a fence--constantly--it may be pig mange. Read more about this condition. Q. We just adopted two pigs that were found wandering around on my grandmother’s property in Georgia. For the most part, they seem to be healthy, but they’re constantly rubbing up against the fence and feed bunk. Their skin is rather flaky, with scabs on most of their back. What could this be? A. The symptoms you are describing sound like pig mange or hog mange, which can cause severe irritation and itching. Hog mange is caused by a mite known as Sarcoptes, scabiei var. suis, which is sometimes referred to as scabies. The mite is usually spread from one pig to another, but animals can also pick it up by rubbing against recently contaminated surfaces. 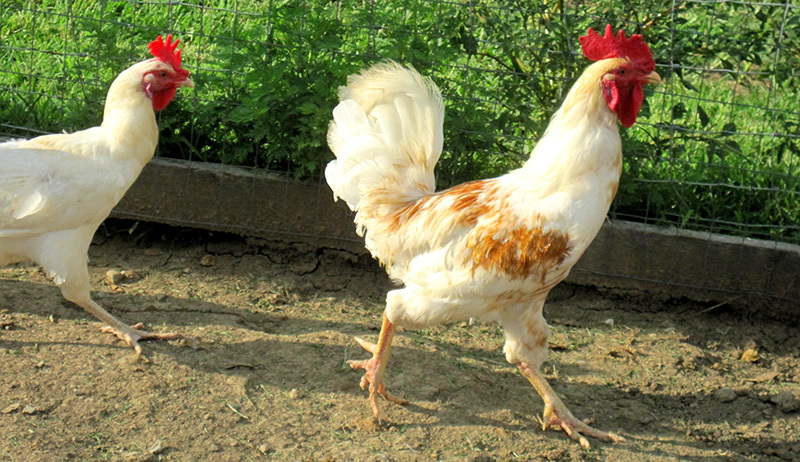 Some animals can become chronic carriers, spreading the parasite through the herd. Mites are more prevalent in the winter months when animals are in close contact with one another. The female mite tunnels underneath the surface of the skin, where she deposits her eggs. When the immature forms hatch, they migrate to the surface of the skin. This migration results in severer itching and irritation. The skin becomes thickened and flaky from the constant rubbing against surfaces. Secondary bacterial infections often occur. Lesions are typically seen on the ears, head, neck, belly, shoulders and legs. Have your veterinarian collect skin scrapings to confirm the presence of the mite. To see for yourself, take a scraping from one of the affected areas and place it on dark-colored paper. If mites are present, you will see tiny, moving white dots. 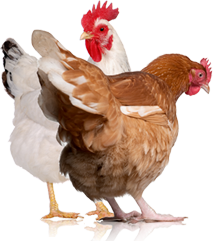 There are several spray-on products for external parasites that can be used, including Ectiban, Taktic, Ectrin and Prolate. These are available through catalogs and farm supply stores. These products will take care of the adults and the immature forms, but not the eggs. It will be necessary to repeat the treatment in two to three weeks, depending on the product used. This will kill the immature forms that have hatched before they mature and lay additional eggs. A pressure washer (not set too high) is more effective than a hose for applying these products. It’s also important to make sure complete coverage of the animal is achieved. I have had experience washing sows before they go into the farrowing house and they seem to enjoy this activity. Watch out: They will shake like a wet dog and get some of the product on you. Don’t apply in conjunction with other deworming practices. An alternative to spray products are injectible deworming products such as Ivomec swine and Dectomax. Follow the directions on the bottle. You should have no issues eliminating this problem from your small herd. The mite doesn’t live very long when it’s not on the pig, but it would be a good idea to disinfect the surfaces that your pigs will come in contact with. Humans and other animals may become infected with hog sarcopotic mange. Bathe and change clothes as soon as possible after handling mangy hogs. 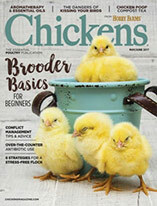 This article appeared in the November/December 2007 Hobby Farms as part of the Livestock Q & A column. 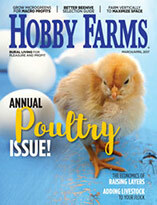 Buy a copy of Hobby Farms at your newsstand or subscribe online today.